These two tools are excellent. I use Evernote to takes notes in my classes at school and to capture things I don't want to forget. 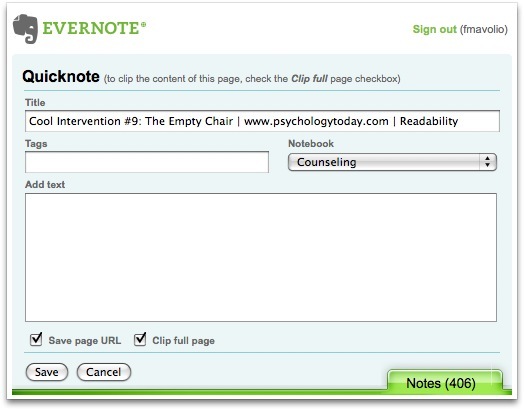 I wrote about Evernote before, in this entry. This is the routine I use to capture papers or articles from web pages to read on any device, including my "hand held," no matter what size the screen. I want to demonstrate how I use them in tandem. 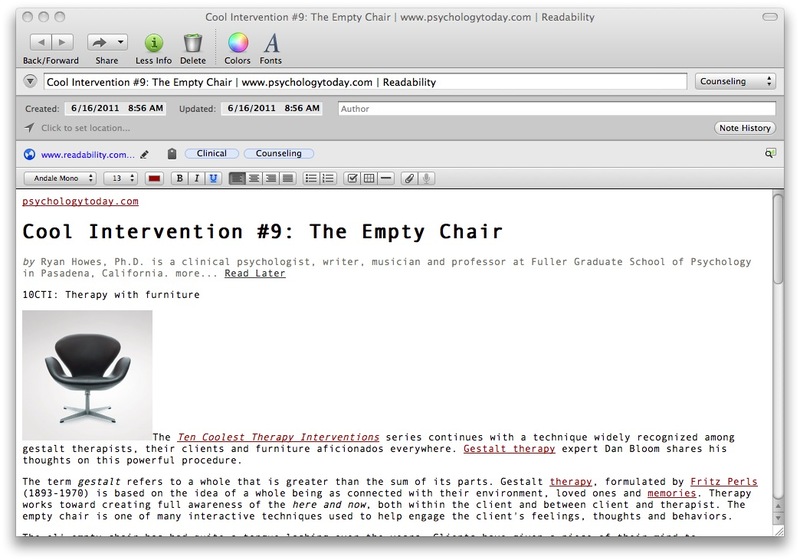 This assumes you have Evernote and Readability accounts, and have installed Evernote and Readability in your browser. 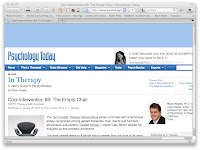 Find an article I want to save, e.g., . 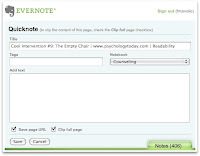 Over on Evernote on the computer, we see the saved page. 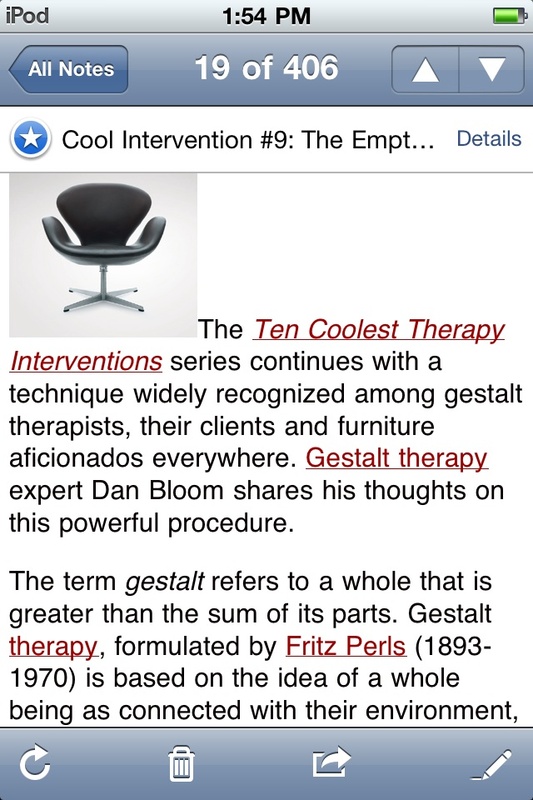 On the handheld in Evernote, the articles are indeed readable. 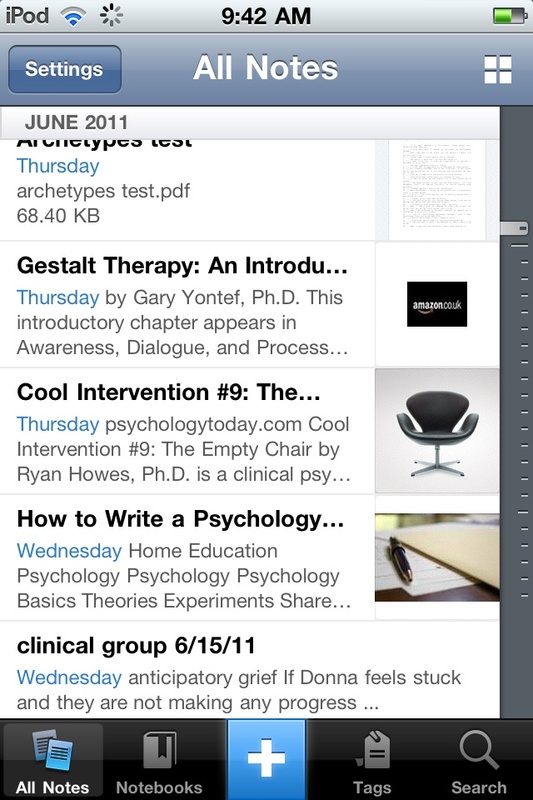 only 3 when you find a page you want to save: click on readability; click on Evernote; and click to save to Evernote. 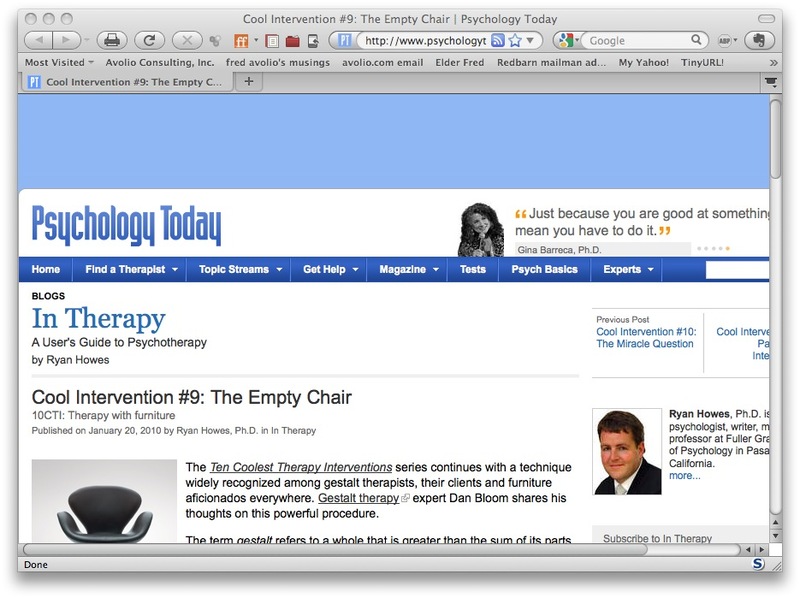 If using Safari, you can shortcut this a bit. 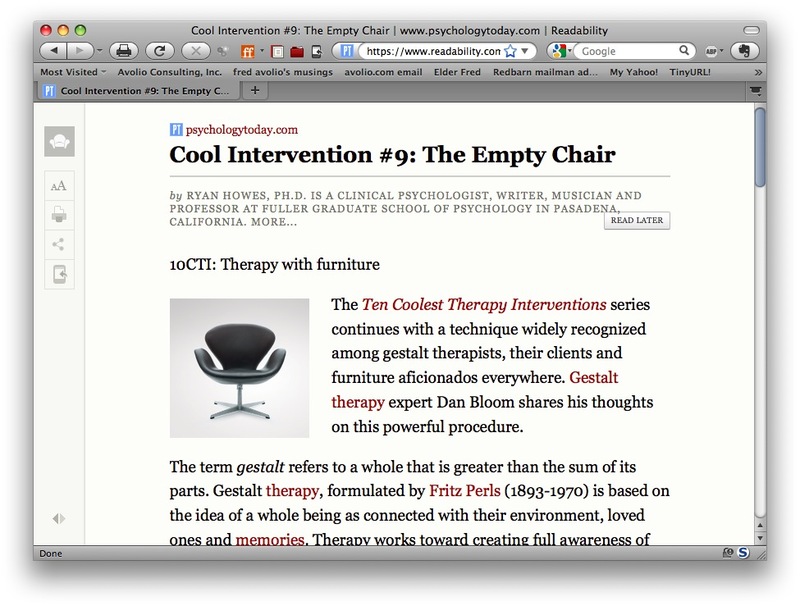 Safari has no "Readability" extension. It has a "Reader" viewing option. 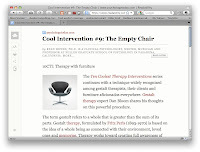 File/Mail Contents of This Page, and send it to your Evernote email address. CrashPlan saves me yet again.